What does your company’s marketing mix look like today? Most successful moving companies utilize several marketing campaigns across multiple channels, such as pay-per-click campaigns, search engine optimization, email marketing, direct mail campaigns, and targeted radio spots. Efficient, successful marketing efforts depend on knowing and understanding what each customer is costing you in each channel. You can determine your acquisition cost per customer for your current marketing programs by dividing your acquisition expenses by your total number of new customers. For example, if you are spending $500 per month on pay-per-click advertising and acquire five jobs as a result, your cost per job is $100. Is the money you’re spending to find your customers now justified based on your revenue per job? You might find that a different marketing channel – like direct mail or even classified ads – makes a lot more sense in terms of targeting your audience. As mentioned earlier, even if you are utilizing the right channel for your moving business, you might be paying too much for the wrong kind of leads. Success depends on keeping close track of how your leads are performing compared to how much they cost. 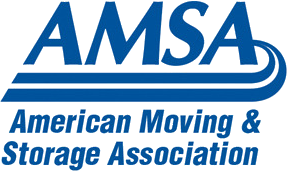 We recently talked to a mover who wasn’t aware of his cost per job. We helped him work through the math. . . It turned out he’s been paying $600 per job on his purchased Internet leads. These are mostly local household goods moves that average about $600 in revenue each, so he was actually losing money on each job he got from those leads. We, of course, recommended that he shop around for better Internet lead sources so that he can reduce his acquisition costs. Now you know how to guage the value of your marketing efforts and can put your marketing dollars where they'll get the most returns!